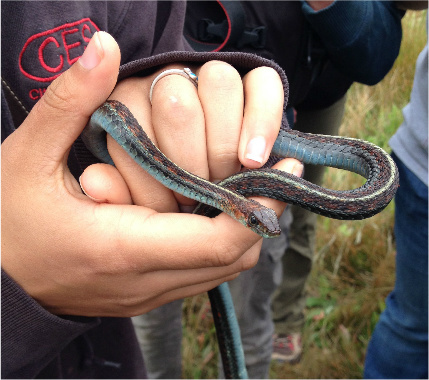 Garter snake found at Ellicott Slough Nat'l Wildlife Refuge. Photo credit: Eric Palkovacs. More than two-thirds of our faculty and students conduct their research all over the world, including places most imperiled by human activites. A special strength of our department is the integration of marine and terrestrial perspectives across all research tracks.